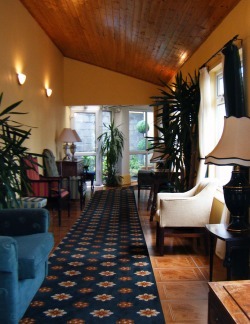 Currans Bed and Breakfast is a beautifully presented Guesthouse set in the historic town of Oldcastle, Meath. 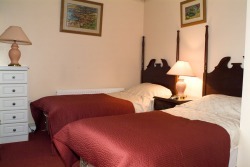 Currans Bed and Breakfast is tastefully decorated Guesthouse that is at the heart of tourism and hospitality in Oldcastle, Meath. Currans Bed and Breakfast offers a warm welcome to all their guests, be that guest a travelling salesman or a hiking tourist, be that guest a family enjoying a day at Loughcrew Activity Centre or a family attending a local wedding and enjoying the music of Oldcastle’s world famous singing Priest Fr Ray Kelly. All amenities are within a couple of minutes’ walk from Currans Guesthouse, traditional Irish Bars, such as Caffreys where you can enjoy fantastic lunch-time meals for less than €10, Pharmacy, Health Centre, Bank of Ireland (ATM also in SuperValu), Boutiques and so much more. All rooms at Currans Bed and Breakfast are Failte Ireland Approved, all rooms are en-suite and include a Television. The rooms at Currans Bed and Breakfast are comfortable and spacious.